PappaRich is an established and renowned chain of restaurants serving a wide array of popular Malaysian dishes, such as Curry Laksa, Char Kuey Teow, Nasi Lemak, an assortment of freshly-baked bread & buns and their signature gourmet coffee. Their vision is to become an international brand and to bring Malaysian and the PappaRich culture to the world. 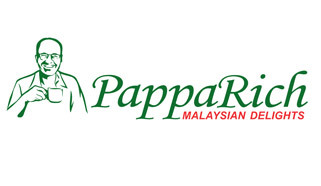 With many outlets throughout Malaysia and overseas, including Singapore, Australia and the USA, PappaRich is rapidly growing to become a major franchise in the competitive world of food and beverage. 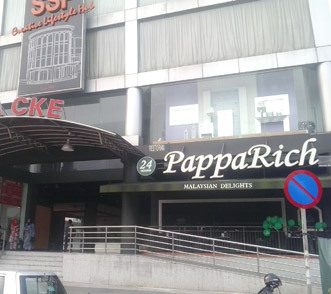 The PappaRich outlet in Cheras, managed by CSY F&B Sdn Bhd, was looking for a much more efficient manner of taking time attendance of their staff, where there have been a reported case of buddy punching among them and have turned to FingerTec reseller, PC Mart Sdn. Bhd., to enquire on what would be the best solution. After much consideration in order to meet their requirements, PC Mart suggested the installation of FingerTec TA102C, which was installed in CSY’s admin department in order to monitor time attendance for its 50-member staff. Thus far, there is still a learning curve when it comes to using the terminal as this method of taking attendance is very new to the staff, but there has been no issues reported thus far and everyone has welcomed this biometric device with open arms. PC Mart Sdn. Bhd. has long been established since January 1996 as one of the leaders in providing business software for small and medium enterprises markets. In addition to providing software and hardware, PC Mart also provides training to nurture young entrepreneurs with similar objective and determination in their business. This award-winning company is a loyal member of the FingerTec family for many years and have become instrumental in marketing FingerTec products throughout Malaysia.